"...and they returned to take revenge!" 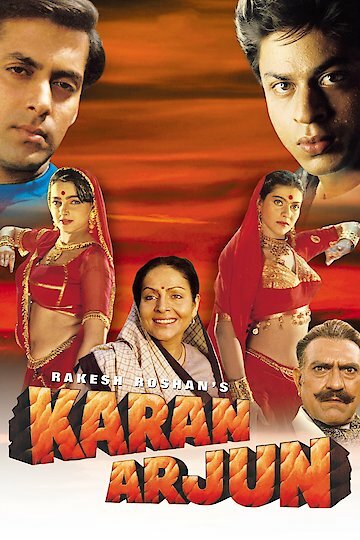 Karan Arjun is an action thriller with upbeat music and religious overtones. The movie begins with Durga Singh a mother revealing to her two sons, Karan and Arjun their father's fate. He had been killed so that his sons could not inherit his estate. When their father's murderer finds out the two brothers are still in line to inherit the estate he returns to brutally kill them both. Their mother cannot accept their death and prays for their return. Her prayers are answered as her sons are reincarnated. Karan and Arjun swear to avenge their deaths. The action picks up as the two set out to seek their revenge.